The Victoria Auger Philosophy of Design incorporates Sensory Perception with Design Expression from all over the world. It embodies all design sciences, Anthropology, Psychology, and Architectural History through elements and objects that enhance and reflect positive vibrations. These one-of-a-kind pieces signify the belief that we are one world, one people. It is this significant connection that influences our lives consciously and sensually. Nothing in the world stands by itself, as every object is a link in an endless chain... connecting us universally. This piece explores the inherent delicacy of glass. A fine black glass thread trails over the surfaces of two transparent red elements, one piece nesting within the other. 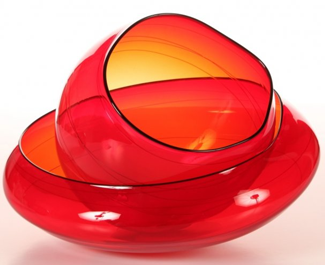 The elegant handblown work is signed by Chihuly and measures approximately ten inches across. Include with this pair is a Plexiglass display case. 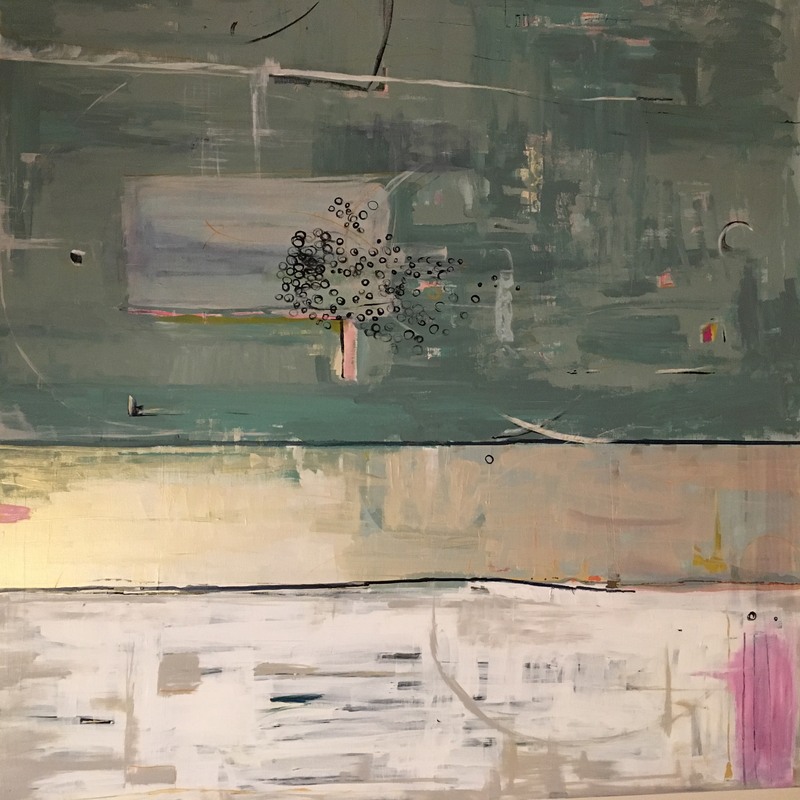 Marci Spier abstract acrylic on canvas. Artist based in Cape Elizabeth, Maine. 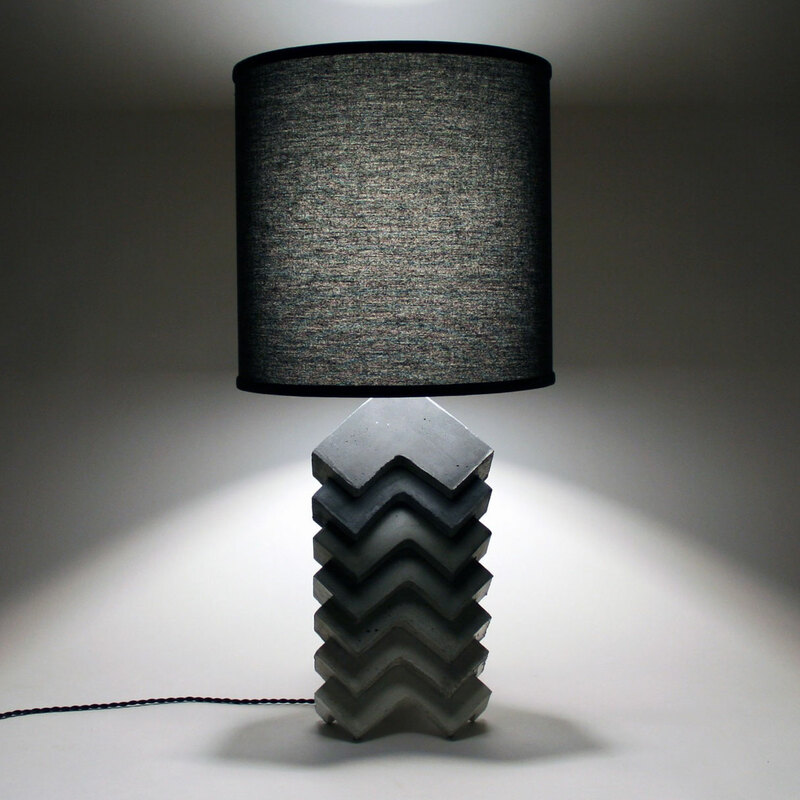 Theo is a lamp made of concrete, but not just any concrete. Each piece of the lamp base is hand cast in high tech GFRC concrete that has been specially formulated and hand tinted. Each pyramidal layer of the lamp was cast from disposable foam packing material. With its geometric form and elemental material, we feel it earns the moniker of Theo Van Doesburg, the founder of Art Concrete. - We can arrange the concrete layers to fade from white into a black shade or from black into a white shade. - Custom hand cast concrete base fabricated by local concrete artisan. Professionally made linen shade with interior white diffuser.